Varèse Sarabande presents L.A. Confidential on vinyl limited edition ! 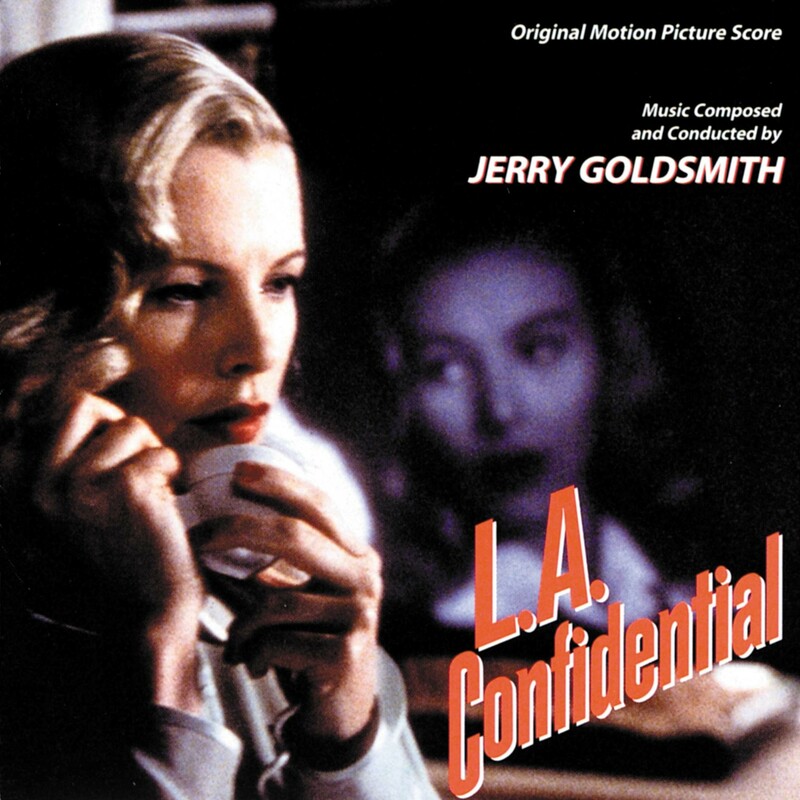 The last great noir score of the 20th century dives into the glitz and grime of 1950’s Los Angeles as envisioned by legendary master composer, Jerry Goldsmith. Goldsmith’s score is now considered a masterpiece nearly on the level of his landmark ‘Chinatown’, and was nominated for the Best Original Score Oscar. The film received 9 Academy nominations in total with wins for Kim Basinger (Best Supporting Actress) and Best Adapted Screenplay. The film is preserved in the National Film Registry by the United States Library of Congress.